The Elks Club is a fraternal order with almost a million members all over the globe, nearly 2,000 lodges established in the organization's nearly 150-year-old history. The Elks Club is known as a charitable organization that donates millions of dollars each year in scholarships and supports youth groups and veterans. Closer to home, the St. Johnsbury Elks Club celebrated its 100th year in 2017 and is located at the former home of Erastus Fairbanks, a two-time governor of Vermont and a member of the celebrated Fairbanks family that invented the platform scale. The St. Johnsbury Elks Home, in addition to serving as the home of the local chapter, has welcomed many civic groups and organizations into its hall over the years. It also rents out its facility for weddings, anniversaries, parties, bridal showers and fundraisers. The St. Johnsbury Elks Home features a full-service and fully licensed bar. The Elks organization was established in New York City on Feb. 16, 1868 under the name "Jolly Corks" by a number of actors, entertainers and others associated with the theater. Over the years, many other professions jointed their ranks. 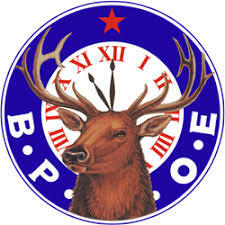 The Benevolent and Protective Order of Elks (also known as B.P.O.E.) is a non-partisan, non-sectarian and strictly American fraternity. 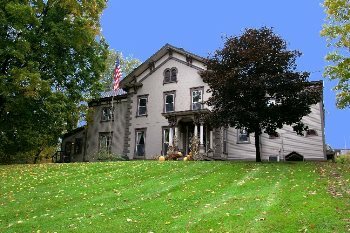 A member is only accepted into the organization if they have been invited by a member of the lodge who is in good standing, is an American citizen, believes in God and is at least 21 years old. .
St. Johnsbury Elks Home #1343 has been added to your trip.